The sparklers retail for $1,200 to $6,000. Wedding prices begin at $4,500 for an Escape Wedding Collection gathering for two. Wishes Wedding Collection ceremonies start at $10,000 for 20 guests or more. An average wedding at Disney is approximately $20,000 for 50 people. Disney’s Honeymoon Registry, which launched Feb. 14, 2007, is a complimentary online service that allows couples to create a gift registry for components of an all-inclusive honeymoon to Walt Disney World Resort in Florida, aboard a Disney Cruise Line ship, or at select Disney Vacation Club Resorts. 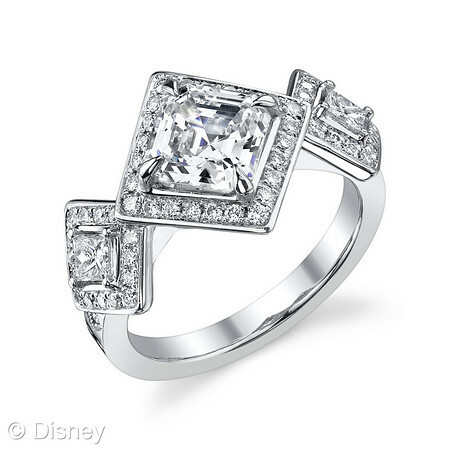 A princess cut diamond ring has a unique cut diamond. 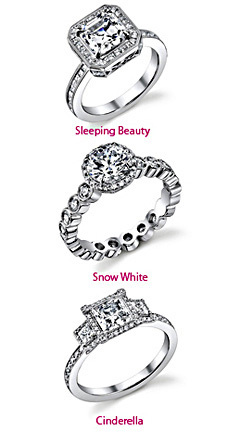 I want to buy 'Snow White' Princess Ring for my wife. It looked very nice.